“Giselle” goes out to all of you that enjoy; Ballet, Cyberpunk, Celine Dion, J.S Bach, Rihanna and Contemporary dance. 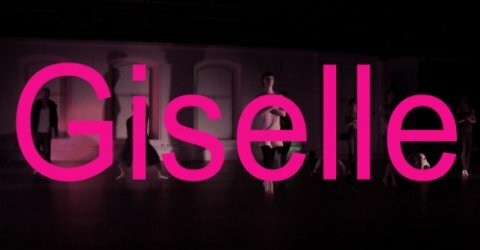 Halla Ólafsdóttir and John Moström are remaking the ballet “Giselle” together with 40 Giselles from Balettakademien Stockholm. Their interpretation of “Giselle” is hemmed by darkness and has an almost apocalyptic wildness where we witness the unravelling and morphing of various characters from the world of ballet. We are confronted with the hierarchies within the language of ballet: it’s technique and pantomime, the distortion of the narrative through score making, the blurring of the roles between male and female. It is a sort of a horrific dream odyssey through the world of ballet, where there is too much of everything. ”Giselle” features 40 dancers from Balettakademien in Stockholm who all have been a part of the collective individuall creative process. Balettakademien is one of the leading dance schools in Scandinavia. Many of the most successful dancers, musical artists and choreographers have been trained here. Halla Ólafsdóttir is an Icelandic artist, dancer and choreographer living and working in Stockholm. Her work is concerned with methods of reinterpretation of recognizable formats of representation facilitating a new shared experience. Halla is a MA choreography graduate from DOCH (Stockholm) and for the past four years Halla has been part of mychoreography and INPEX, creating and performing a number of pieces which have toured to festivals in Sweden, England, Belgium, France, Germany and the United States. She has recently been touring her pieces “It´s definitely the spiritual thing” and “Beauty and the Beast”. Halla is currently working on the remake of “Giselle” and with the curation of Reykjavík Dance Festival. Choreography: Halla Ólafsdóttir & John Moström. The journey has been shared with Elizabeth Ward, Amanda Apetrea and other various stars from all over the world. ”Giselle” is co-pruduced by MDT and Balettakademien and made possible with support from Konstnärsnämnden. The 16th of November at 1 pm, performance for schools in Stockholm. In collaboration with Dans i stan.